Now users can safeguard their entire digital life by backing-up their Android phone direct to their PC quickly, easily and securely via Nero’s ‘AirLink’. Karlsruhe, Germany, February 20th 2017. Nero’s popular BackItUp PC software is now even more valuable. The highly regarded software that gives users ‘One Click to Peace of Mind’ now offers comprehensive Phone to PC back-up quickly and securely. Never lose photos, videos or any other digital file again! Nero’s BackItUp PC software provides the ultimate solution for backing up all irreplaceable files. With one-click the software protects files and memories from PC’s and laptops by backing them up to up to five targets including USB and Hard disk. The software provides automatic back-up which can be set to daily, weekly or monthly, or alternatively, a manual back-up too. 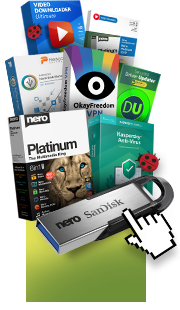 Other competitor back-up services save only the latest version of files, but Nero’s BackItUp saves earlier versions as well which means that even if a file is deleted or damaged, a version is always restorable. To further enhance the software offering, Nero have developed an app that backs-up all kinds of media from Android phones speedily and securely for ultimate peace of mind. Photos, videos, contacts, music, messages and even call logs can be backed-up direct to PC or to the phone memory whilst also allowing a rapid restore option at any time. Working seamlessly with Nero BackItUp, the android app connects to the PC either via QR-code or Airlink. Airlink is Nero’s newest technology which makes the entire back up process easy, quick and hassle-free. It guarantees easy discovery and and connectivity between the devices. No additional software or hardware is required, just a simple Wi-Fi connection. This negates the need for cloud services as all data can be saved in a secure environment such as your own PC. This app is available now, free of charge on Google Play. Fully Automated Back-up that detects changes is files and fodders and automatically backs up the the changes. Supports 5 back-up targets to include; HDD, external HDD, removable discs like USB memory, Optical Drives and Network Attached Storage. Saves earlier versions of the files that the user wants to protect. Previous versions of back-up is always fully restorable. Nero’s compression algorithm enables the saving of disc space when storing files to USB.